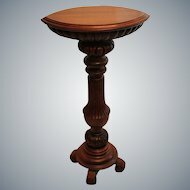 This is a great and different American oak table, ca 1895. 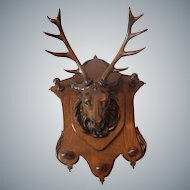 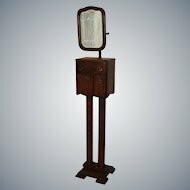 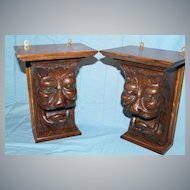 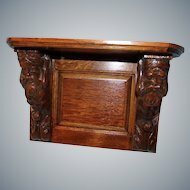 It has a 24" square top, whose frame is very nicely moulded, and carved on the top and the sides. 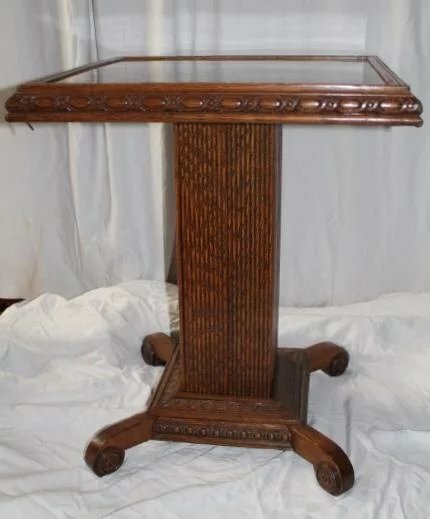 The frame holds and supports very well a rare form reverse painted glass top which has supported a very heavy B&H slag glass lamp for the last 25 years. 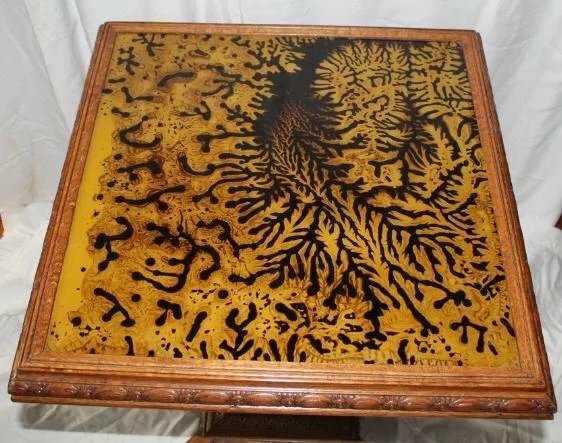 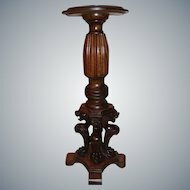 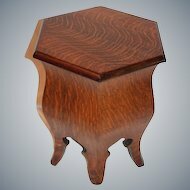 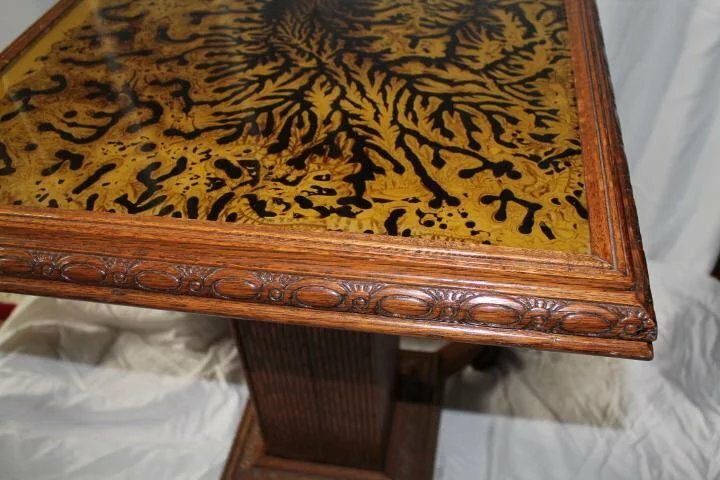 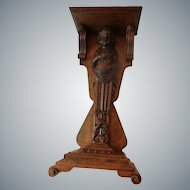 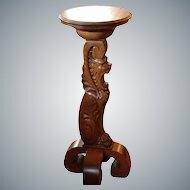 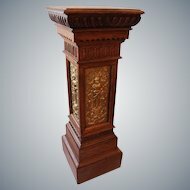 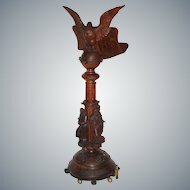 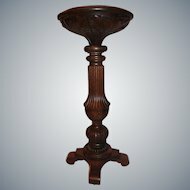 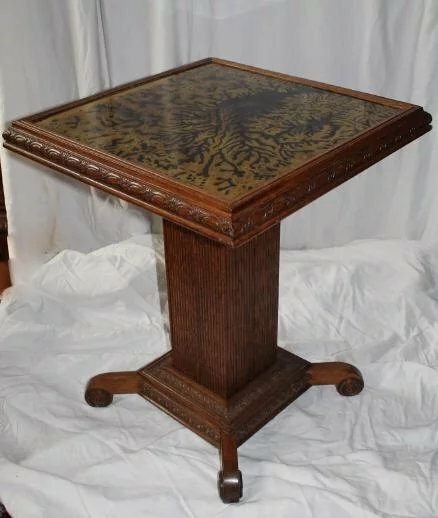 The top is supported by a nicely fluted/reeded 7" square rectangular pedestal which connects to a very nicely moulded and carved 12" square base, carved on the top and sides similar to the table top. 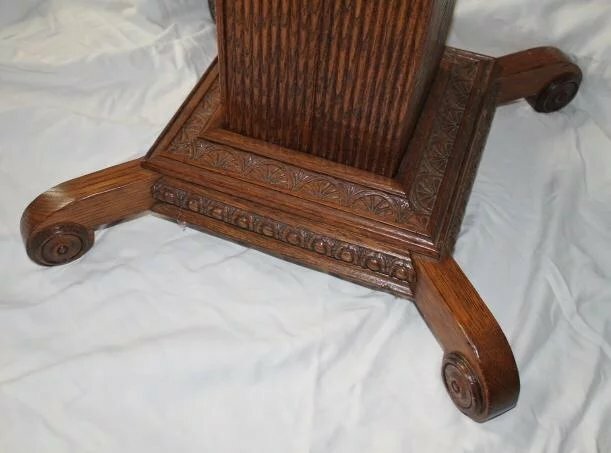 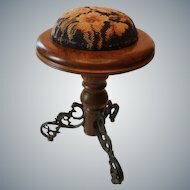 The base is supported by 4 rolled feet, each adorned with turned rosettes on either side. 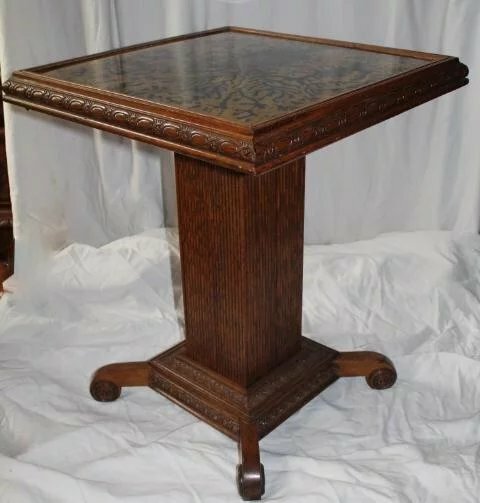 The table is in original finish, and near perfect in condition. 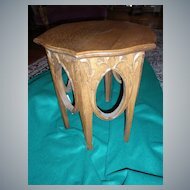 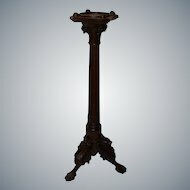 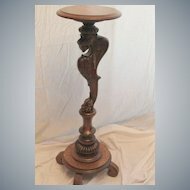 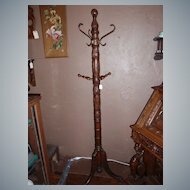 This wonderful and rare table is 29" tall. 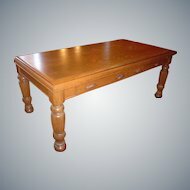 We offer LAYAWAY take up to Twelve Months to Pay (15% Down - See our full terms)!